Our Switchgear Modernization Service uses high quality low and medium voltage circuit breakers to lengthen the life of your system. 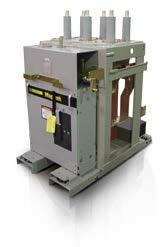 Masterpact NT/NW Circuit Breakers (Low Voltage) are your source for circuit breaker excellence. Providing the latest in circuit breaker technology, Masterpact NT/NW circuit breakers feature high ampere interrupting (AIR) and short-time current ratings, Modbus communication protocol and field-installable devices, including sensor plugs and accessories. In addition, Masterpact NT/NW circuit breakers meet the requirements of UL489, UL1066, ANSI, IEC 60947-2 and CE Mark standards. Under normal operating conditions, Masterpact circuit breakers do not require maintenance. Completely modular in design, all replaceable parts can be installed with hand tools and require no critical adjustments. For “smarter breakers”, a complete line of Micrologic trip units are available for use with Masterpact circuit breakers. These trip units provide advanced functionality, such as a communications interface, power metering and monitoring capabilities, which allow for integration and coordination of your electrical system. Functions include load protection, power measurement, power monitoring and maintenance monitoring. 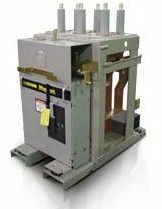 Magnum direct replacement circuit breakers are a family of products that upgrade existing medium voltage switchgear to current switching technologies. Built with new components and tested to ANSI standards, Magnum circuit breakers interface with the existing circuit breaker compartment components and maintain safety interlocks present in the original equipment design. To further simplify the modernization process, Magnum designs are available for any brand of medium voltage switchgear.